X-wing is great game, but due to the nature of customizable games, what you want to buy when you’re starting off can be very confusing with all the different ships! 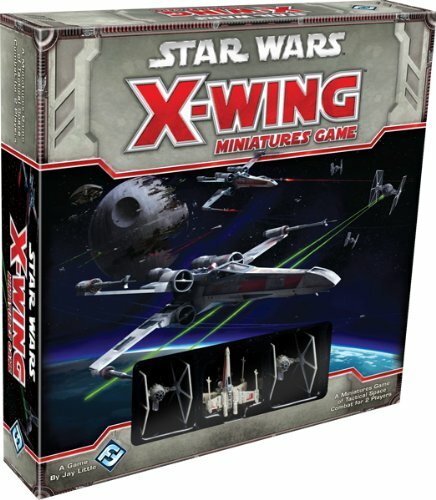 With this x-wing buying guide, I’ll lay out some basic guidelines for getting started and detail some of the most common ships for each faction. Enjoy! 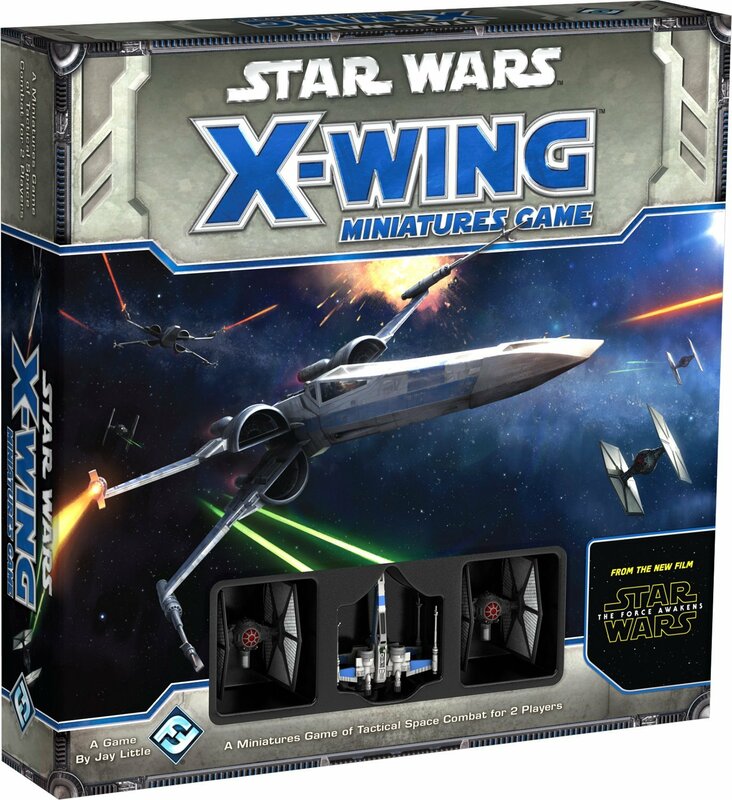 If you’re interested in the Star Wars X-Wing Miniatures game and are wondering where to start, the first step is obvious: buy the core set, and play it with a friend to see if you enjoy the gameplay. The original core set contains pilots from the original trilogy such as Luke, Biggs Darklighter, and R2D2. However, the 3 ships the core set comes with aren’t even enough to play a full 100-point game with, so you’ll soon be wanting more. Yes, that’s right. The next thing I would recommend is to get another core set, along with the first. If you bought the original one, get the new Force Awakens set, which contains pilots from the new movie like Poe, his droid BB-8, and 2 TIEs and some upgrades. Buying two core sets is pretty standard advice, and the reason is that one core set doesn’t even contain enough dice to play with, so you’ll need more dice anyway, and its a great value compared to buying ships individually. If you have another friend to play with, split the second set between the two of you to share to save money. 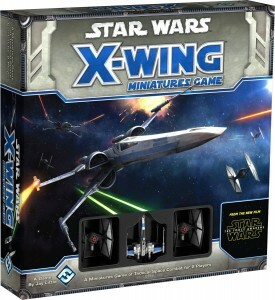 This will allow for games of 2 x-wings vs. 4 TIE fighters for both players. After this, decide which side you want to build your squad around. 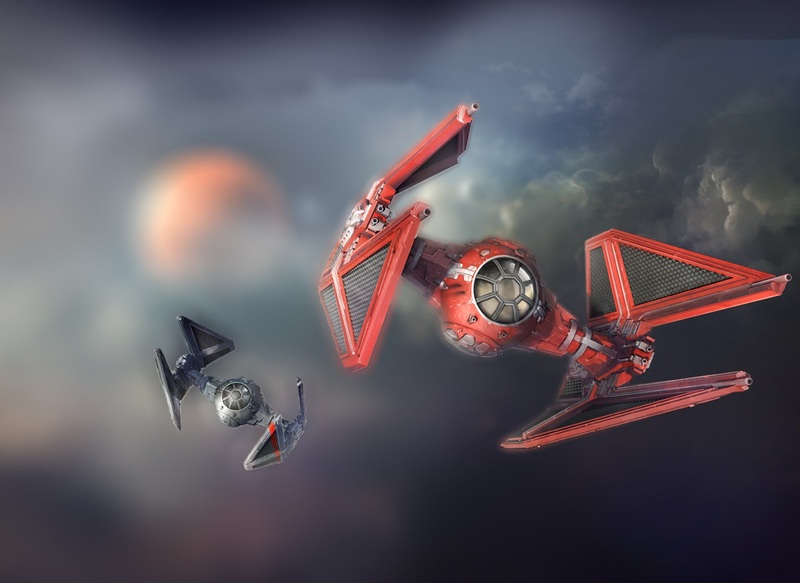 The Imperial ships and TIE Fighters are focused around agility and movement, while the Rebels and X-wings are centered on pure firepower and defense. What Next? There’s So Many Ships! After you have the 2 core sets, you’ll want to begin expanding your collection enough to play a standard 100 point game. If you’re just playing with friends or family, what you get might be different than if you were to play competitively, so I’ll go over 2 different scenarios. Buy the new core set– $25. Whoops! We spent more than our initial budget. Which is the first lesson of X-Wing: you’ll always spend more than you planned on. Moving on! So you want to compete, eh? Maybe you’re a long-time miniatures player and Star Wars fan and you want to get involved at your local store play, or you played with your friend who has an immense collection and you want to pummel him. Either way, you’ll want to pick a faction to stick with. So let’s look at the 3 main factions and outline some basics for each of them: Rebels, Imperials, and Scum. The two main Rebel ships/pilots that are seeing a lot of play right now are Poe Dameron, who flies an X-Wing, and Corran Horn in his E-wing. Lucky for you, you already have Poe from that Force Awakens Core Set you bought! Corran Horn is a popular pilot due to his ability to attack twice in a row. 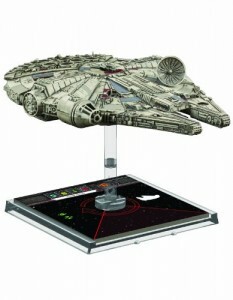 And of course the Falcon we discussed earlier. 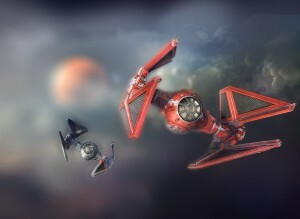 After that, the Rebel Aces pack will give you 2 more ships with good pilots and enough to make a squad around easily. Y-wings are very popular in tournament play right now, but making them competetive takes a lot of upgrades from other ships and isn’t worth it if you’re starting out. For Imperials, there’s a couple different styles of squads you could make to start off. There’s the TIE Swarm, which involves flying ~7 TIE fighters right at your enemy, the arc-dodging Interceptors and Phantom, and the Decimator. I would recommend against flying a TIE Swarm, as I personally don’t think it’s very fun starting out, and is difficult to master. The Phantom is a really fun ship to fly and has some cool cloaking mechanics, and can be flown alongside the decimator or some TIEs from your core set. For the Interceptors, you will probably want to buy the Aces pack for the ships and upgrades, and then the Interceptor expansion pack which comes with Soontir Fel, the Imperial ace pilot. The Decimator is a large turret ship, similar to the Falcon and flies nicely with a Phantom by it’s side. The new Imperial Veterans pack comes with both a Defender and a Bomber, and I would even recommend buying it for the Defender alone. The bomber is just an added bonus, and is fun to experiment with to see if you like ordinace. The Scum and Villainy faction is a lot newer than Rebels and Imperials, and really only has a couple of competitive options right now. The IG-2000 expansion is one of the most popular, and 2 are commonly flown side by side competitively. Aside from that, y-wings are popular as mentioned earlier, but take a lot of upgrades from other ships to make them good. 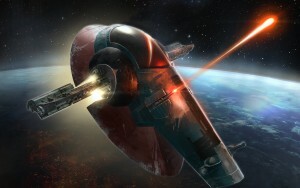 And the Slave 1 is a great ship, but needs some support as you can’t fly it alone. And the Scum pilots for the Slave 1 aren’t included with it, since it was released before the Scum faction existed. So you’ll also need to buy the Most Wanted expansion pack, which includes Scum pilots for the Slave 1, and a Y-wing a 2 Z-95s to fly with it. The new Punishing One from Wave 8 is very popular right now, usually 3 flown side by side with a lot of missiles, but it is a lot of fun to fly by itself. 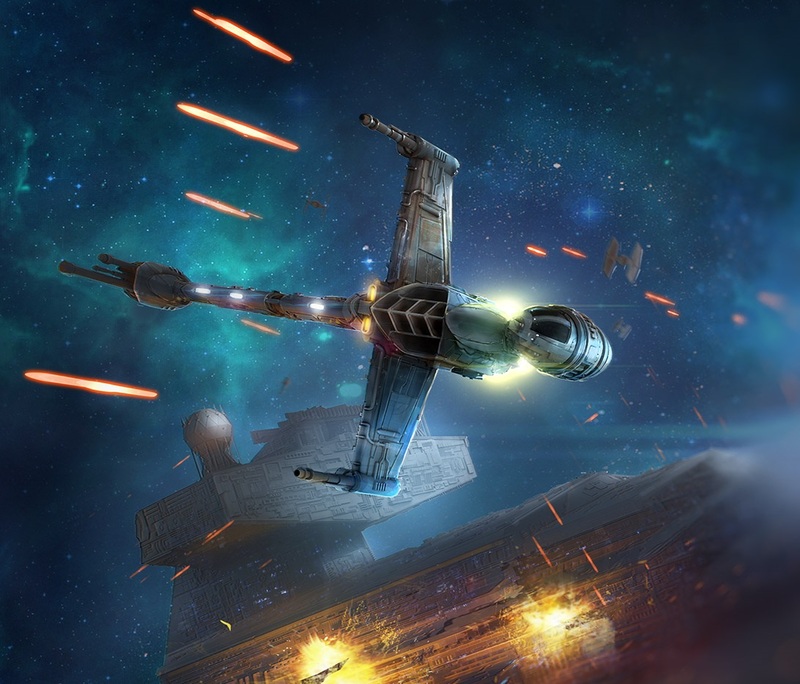 Hopefully this article helped give you a solid understanding of some of the fun ships to fly in X-Wing. There are so many other ships that I didn’t cover that are also fun to fly, so for more info be sure to check out the FFG Forums, the BGG forums, and the fantastically comprehensive X-Wing Wiki. Good luck! Join our mailing list to receive the latest board game buying guides and strategy articles!